The 99th Battalion is a book about a unique group of American soldiers from the Second World War that had one thing in common: they were all of Norwegian descent. In order to volunteer for this battalion the men were required to understand, speak, and write Norwegian. They were a separate battalion, and never knew what difficult tasks would be planned for them, but through the whole war they hoped they would be sent to liberate Norway, their occupied home. They received the harshest commando training ever given for winter conditions, at a camp in Colorado at an altitude of 9,000 feet. They landed in Europe with the American invasion forces and fought in some of the war’s hardest battles. When the 99th finally arrived in Norway, they were chosen to be the honor guard for King Haakon as he returned from exile. They remained in Norway during the first summer of peace, helping to disarm the Germans and send them home. They spent their furlough time traveling in search of their relatives. This book about the 99th Infantry Battalion (Separate) is fascinating reading mostly narrated by the soldiers themselves. It builds on original research and sheds light upon a largely unknown aspect of Norwegian-American history. This new edition includes updated translations and 75 additional rare photographs of the battalion from training through the end of the war. Gerd Nyquist was born in Oslo, where she lived all her life. She was a mother of four and a grandmother of seven. She attended Halling Girls School, Ris High School, University of California (journalism), and Oslo University (history). She was a member of the Norwegian Authors’ Association, Riverton Club, and Crime Writers’ Association, London. In addition, she was awarded a war involvement medal. The 99th Infantry Battalion Educational Foundation: “Dedicated to preserving the history of the Norwegian-American Infantrymen of the United States Army in World War II.” Learn more about the unit, view historical photos and documents, and find links to additional resources. 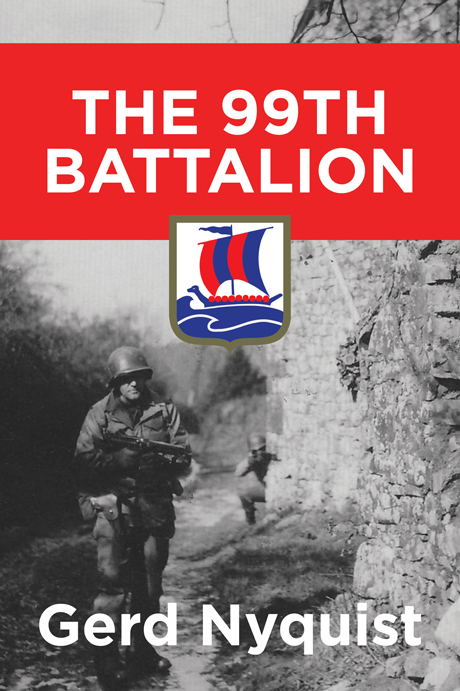 The 99th Infantry Battalion (Separate) Facebook Group: The official social media group to connect with veterans of the 99th, their ancestors, historians, and fellow enthusiasts.